It was both the best and most fulfilling thing I have done in my life. 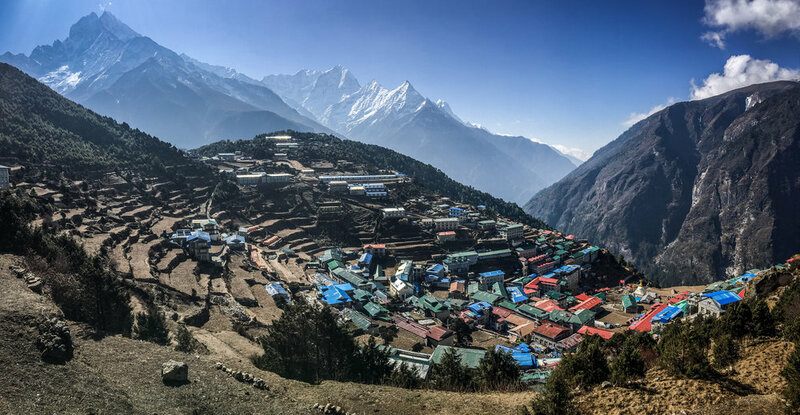 Fulfilling because Bri makes sure that you not only get to see the amazing beauty of the Himalayas, but also fully experience the spirit of Nepalese people and their way of life, which is wildly different from the Western culture. She also provides many opportunities to give back by visiting schools and bringing badly needed (donated) solar lanterns for villagers who do not even have running water or electricity. Bri, the founder of Driftwood Adventures, is an experienced trek leader who will keep you safe while making sure that you make it to your destination. I can attest to this because the EBC Trek took place on third-year anniversary of my heart surgery (3rd surgery). Bri and her team kept a very careful eye on me the whole time, making sure that I was not pushing too hard, and that I was feeling ok.
Bri is an amazing, down to earth, friendly, funny, creative person! And all that makes trekking with Driftwood a unique experience. Partly. The other ingredient in the Driftwood recipe for amazing adventures, is the local team of Sherpas and guides. The personalized adventure trips are amazing and educating at the same time. The city guides who took us around Kathmandu were very friendly and knowledgeable, spoke english, and above all were PATIENT!! Allowing plenty of time for us to explore and take pictures. They also took care of us in small unexpected ways, like helping us bargain with street vendors, making sure we get the best price. Or taking us to unexpected, out of the way, spots to taste the most amazingly delicious food. Interested in travel photography? Bri is an accomplished photographer, and a great teacher. She has worked on many assignments all over the world for National Geo, and Huffington Post. Her experiences allow her to keep the group entertained with funny, amazing stories. And if you are looking to improve your photography, she will teach you skills that range from making your social media posts look 100% better to guidance for Fine Art pieces. She helps you to create a visual story to bring home with you. 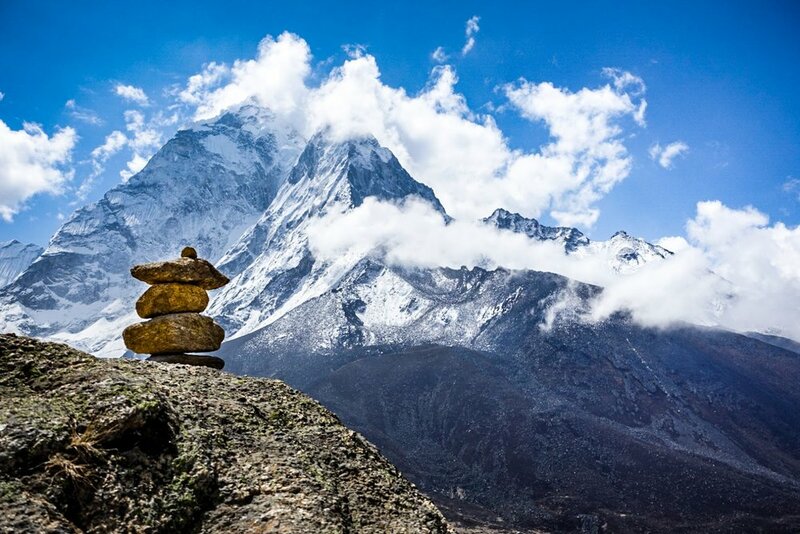 Meet our Sherpas. The Sherpa people are incredible! Especially Bri's partner and lead Sherpa Guide Tshring. Who has been leading trekking expeditions for over 30 years, and can tell how you are dealing with the climb just by looking at you. Without Tshring I would not have made it to 17,000 feet (EBC). He saw me struggling with the climb and the altitude on the first day in the mountains, and took the time to teach me the "Sherpa walk" which allows your body to regulate breathing and heart rate much more efficiently. After learning this way of walking, I was able to climb for many hours a day. Tshring also is well versed in the ways our bodies adapt to altitude, and was always ready with tricks and treats to help the human body thrive in the high mountains. Trekking with this team was comfortable, pleasant and safe. We had no worries, other than taking in the culture, the nature and breathtaking vistas. Coffee was ready when we woke up, plenty of chocolate and other snacks to keep us going, and the best tea house accommodations available. Tshring and his team of Sherpas treated us like family, even throwing us a village dance party on our last day in the Himalayas. We were welcomed into his home, and his amazing, cheerful wife cooked food for us as if we were her own kids. On this trek I have made friends for life, deepened my connection with nature, explored places and situations that I have only read about, and taken some of the best photos in my life. Simply put…. I feel I am a better person because of my experience with Driftwood Adventure Treks. If you are looking for an adventure that is also deeply spiritual, personally fulfilling and incredibly beautiful, then you must sign up for a trek with Bri and her team. Honestly, I have seen other groups on the trail who did not look as happy as our group. And I even spoke with some of the travelers (clients) from those groups. They spoke of what can only be described as horror stories and disappointments. Guides who let their clients get dehydrated on the trail, or succumb to altitude sickness, or even Guides who do not speak english and keep hustling the clients along as if they have somewhere to be. That is NOT an experience I would want for anyone. The hardest thing about this adventure is leaving Nepal and saying “see you later” to all the new friends and plugging back into the Western rat race.